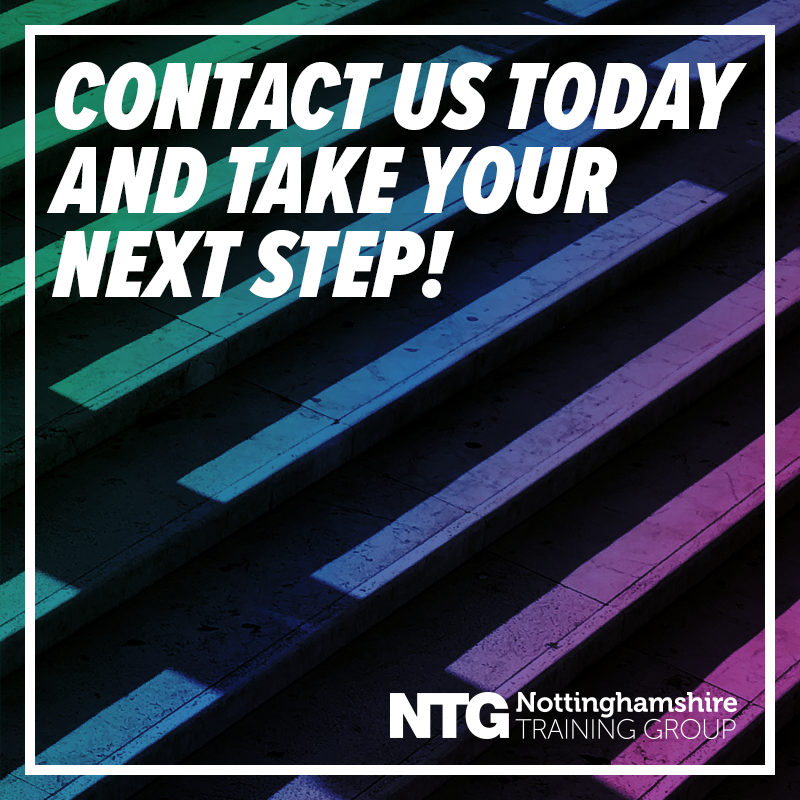 Founded in 1987 as The Bassetlaw Training Agency, the Nottinghamshire Training Group provides high-quality training across a growing number of sectors, from business administration to hairdressing to childcare and early years. 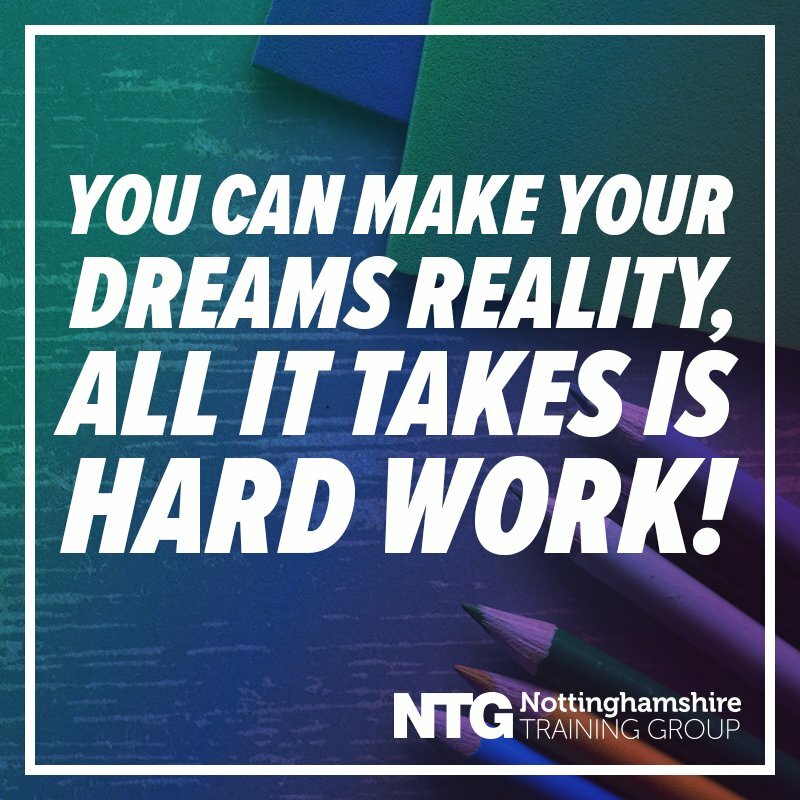 At NTG, our mission is “Creating Careers, Building Business.”, this means that nurturing our students’ passion and drive whilst also putting their lifelong ambitions and aspirations is at the core of everything we do. In doing this we aim to support local businesses across Nottinghamshire and South Yorkshire recruit, train and invest workforce, ultimately achieving growth. Our unique ethos of putting each and every student first, helps encourage a real sense of belonging. This shared sense of purpose for enhancing young people’s prospects and supporting the workforce across our region is what has helped us support thousands of post-16 year olds achieve their career aims, gain qualifications and attain apprenticeships for over 30 years. Our staff are central to the success of all students and without them we would not have been recognised as Ofsted ‘Good’ 2013 and 2018. This is achieved through the company’s ‘people first’ culture, which puts people before profit at all times. We are committed to continually developing and investing in our teaching staff to achieve an excellent blend of quality learning and holistic, social support for our students. We are government funded and pride ourselves on the range of vocational courses that we offer. This enables us to provide you with an individualised study programme to suit your needs and interests. As well as achieving qualifications, NTG provides you with the opportunity to get involved in a wide range of enrichment activities and embedded, course specific, work experience. The centre and staff are here to support your learning. Above all we guarantee a stimulating, friendly and challenging experience, providing an excellent stepping stone between school and higher education or employment. In addition to our wide range of courses, NTG prides itself on, above all, empowering students and developing skills needed for your chosen career beyond the classroom. We encourage our students to engage proactively with a range of community, work experience and fundraising activities and opportunities. Learner Voice, Youth Parliament and our engaging enrichments are just a few ways in which young people can learn new skills and responsibilities whilst gaining transferrable skills to help with both personal and professional progression. In 2018 the company merged with the specialist hairdressing, barbering and beauty therapy apprenticeship training provider Getahead Training to become the Nottinghamshire Training Group seeking to share, promote and develop best practice and improve the quality and variety of courses available. Traineeships: designed to help young people (16-24) develop the skills needed to succeed in the workplace and advance on to a potential apprenticeship opportunity. Traineeships are also incredibly successful for employers first entering the apprenticeship market, wanting to ensure they get the right apprentice for their business. Post-16 Study programmes: Our 16-18 year old study programmes offer students all the benefits of a conventional post-16 college course without the feeling of being small fish in a big pond. Our courses are individually designed to enhance future employment prospects by focusing on the specific training needs of the individual and incorporating extensive work placements alongside fully accredited NVQs and other courses to deliver a tailored, fun and enriching learning experience for all learners. Apprenticeships: Working with our partner Consortia Training, our Apprenticeships offer real industry experience alongside nationally recognised qualifications to kick-start successful careers. Bespoke private training: we work with a wide variety privately funded individuals and of employers to meet their training needs, whether it’s a vocational refresher course, developing current members of staff or an entire nationally recognised qualification, NTG aims to tailor our provision to meet individual needs no matter how big or small. We are here to support people at all stages of their careers to achieve success and progress further in their ambitions. Whether you are a school leaver looking to study one of our national recognised courses, or looking to gain an apprenticeship in a specific area, or a private learner wishing to advance in their career and upskill. We can help you. For over 30 years we have strived to support our regions local employers recruit, invest and nurture the very best young talent to add to their workforce. Through a deep understanding that each and every small and medium sized business has its own specific needs from their employees that cannot be treated with a one size fits all approach. We are able to support over 150 local businesses achieve growth and value for their organisation through a supportive and tailored approach.